Let us immerse ourselves in the crystal-clear Caribbean waters for an unforgettable snorkelling session to discover incredible sea animals and fish for queen conches, which we then enjoy for lunch on board our boat. 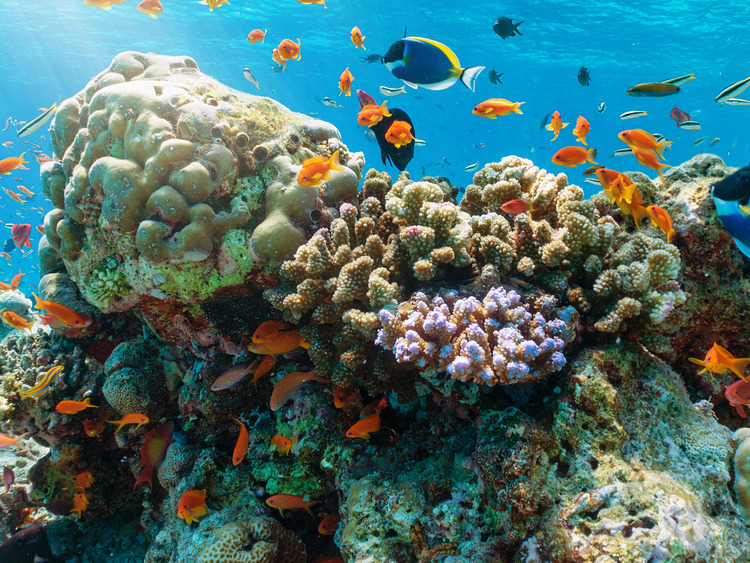 We board our boat to discover the marvellous underwater world of Grand Turk where tropical fish and coral formations merge into a multitude of colours. Our guides provide us with interesting information on the sea animals of Grand Turk, whose waters are home to sharks, rays and turtles. We get into the water for a guided snorkelling sessions in the crystal-clear waters of the Caribbean sea and go fishing for queen conches, a local sea snail and a local culinary delicacy. We stop at Gibbs Cay beach, an uninhabited unspoilt islet where we can go for a swim alongside fascinating rays. We then get back on our boat and enjoy a delicious lunch with our catch accompanied by chips, dips, rum punch and water. Pregnant women or guests with mobility problems are not allowed on this excursion. It is forbidden to bring the fish back on the cruise ship.